We’d love your help. 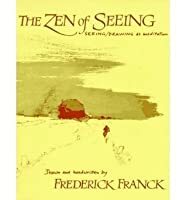 Let us know what’s wrong with this preview of Zen of Seeing by Frederick Franck. A Dutch artist offers his concept of seeing and drawing as a discipline by which the world may be rediscovered, a way of experiencing Zen. 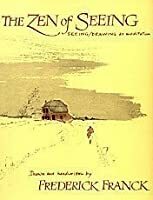 To ask other readers questions about Zen of Seeing, please sign up. I am not a Zen person. I am not a "spiritual" person. I was, however, a college drawing teacher for many years. This is an excellent book. It teaches you to pay attention and to truly see, which is half the battle in drawing. Even if you never pick up a pencil, this book will lead you to look at the world in a different way. http://phonedekh.com/? This question contains spoilers… (view spoiler)[DOWNLOAD LAGU MP3 ONLINE - GUDANG LAGU TERBARU 2019? This book shows us how practicing an Art is a form of meditation. The author introduces us to Seeing/Drawing as an experiential approach to reality. Seeing as an exercise of mindfulness. As an act of letting experince wash over us without reacting to it with desire or aversion. A really good book i would recommend to anyone and not just an artist. I am not a Zen person. I am not a "spiritual" person. I was, however, a college drawing teacher for many years. This is an excellent book. It teaches you to pay attention and to truly see, which is half the battle in drawing. Even if you never pick up a pencil, this book will lead you to look at the world in a different way. 3.5 stars. 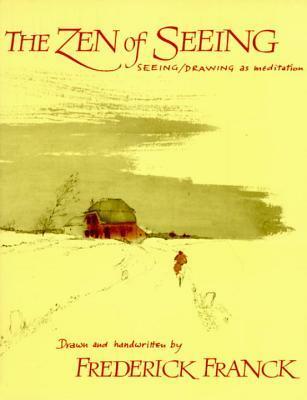 I don't know that this book will teach you how to see like an artist, but it explores the thought process behind seeing, and explores the idea of seeing like an artist/drawing as meditation. Having done both, I definitely feel the link between the two. Attention is so focused when drawing that it becomes as meditative as yoga, which I think of as meditation in motion. If you're looking to refill your peace tank, I don't see how you can go wrong with yoga, meditation and/or drawing. Ju 3.5 stars. 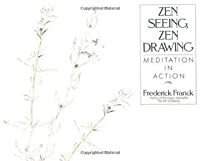 I don't know that this book will teach you how to see like an artist, but it explores the thought process behind seeing, and explores the idea of seeing like an artist/drawing as meditation. Having done both, I definitely feel the link between the two. Attention is so focused when drawing that it becomes as meditative as yoga, which I think of as meditation in motion. If you're looking to refill your peace tank, I don't see how you can go wrong with yoga, meditation and/or drawing. Just spending time in nature with the eyes of an artist, really seeing rather than just looking, may be enough. "We do a lot of looking: we look through lenses, telescopes, tubes... Our looking is perfected every day - but we see less and less." I probably should have read The Zen of Seeing when it was written in 1973. It has the look of my old well-loved Vegetarian epicure, a sort of buff paper covered book with pen and ink sketches and hand writing. It's fast and easy, and the point is that if one draws the everyday objects in his or her world, the world slows down becomes more sane and recognizable. It' "We do a lot of looking: we look through lenses, telescopes, tubes... Our looking is perfected every day - but we see less and less." It's a nifty book; and has a lot to say although there's not a lot of text--and also all the text which is present is written out calligraphy-style in longhand by the author. Impressive. Then of course, (since it is an art book) at least half of the volume is taken up with some very startling ink wash and line drawings. Every other page is visual; totally illustrating what the author is commenting on. He has some great stuff to say about teaching art; sometimes quotes from zen masters and someti It's a nifty book; and has a lot to say although there's not a lot of text--and also all the text which is present is written out calligraphy-style in longhand by the author. Impressive. Then of course, (since it is an art book) at least half of the volume is taken up with some very startling ink wash and line drawings. Every other page is visual; totally illustrating what the author is commenting on. He has some great stuff to say about teaching art; sometimes quotes from zen masters and sometimes just anecdotes from his outdoor sketching classes. We ought to all be reminded more of what he's basically saying: namely that learning to draw is not far-fetched; anyone can do it if they have the inclination. It is not impossible to make art a part of your life. And the rewards are enormous. One of the principles I relished most during this read was the concept of 'ten thousand things'. This zen principle is about how--even when we are sitting on a park bench somewhere, say on our lunch hour from work--our eyes may be open, but they're open in a blank, passive, robotic aspect. We're not actively looking at anything. We do not notice that there are probably ten thousand tiny little items around us. At any turn of our head. There are dewdrops, leaves, stems, spiderwebs, blades of grass, acorns on the ground, a whole universe of stuff. Focus on just one blade of grass: there are probably ten thousand tiny ribs along its length. Or ten thousand capillaries in a leaf over your head. All this variety is usually lost to us. We forget we have eyes at all. What are we looking at instead? The label on our drink container, or our wristwatch, or the tip of our shoe. We tend to look at 'nothings'. Thus, 'zen-of-seeing' is one great way to re-startle yourself back into the real world. Actively look at things, in order to see. Start observing the Don't let yourself be automated. So simple, and so valuable. The sense all this makes is even more relevant now with the stupid craze for video. This time-waster lures us to completely abandon our extraordinary powers of vision. Have you noticed? People are forgetting even to question the inclusion of insipid, pointless, dumbass video in our lives. But listen: watching a screen produces absolutely no change or difference in the world. You're interacting with nothing which is real; you are creating nothing; you have lost all deliberateness, as you sit there amused pretty much like an idiot. When you 'spectate', you are inert, listless, dead-to-the-world as far as the rest of humanity is concerned. You are literally 'on hold'. You might as well be in a grave. Honestly, I only read various parts of this book in the back room, waiting to be called out and model for a life drawing class at Mendocino College. It redefines the basic concepts of drawing as I had known them all my life. I was so amazed that I went out and bought art supplies. Ok, that was about it, so far cratively over here, but my children really dug on all those supplies. This book is great tho, truly, for artists and other humans. BTW, I didnt get to finish the book because I fainted do Honestly, I only read various parts of this book in the back room, waiting to be called out and model for a life drawing class at Mendocino College. It redefines the basic concepts of drawing as I had known them all my life. I was so amazed that I went out and bought art supplies. Ok, that was about it, so far cratively over here, but my children really dug on all those supplies. This book is great tho, truly, for artists and other humans. BTW, I didnt get to finish the book because I fainted doing a standing pose and since I was pregnant, I was afraid to continue. The professor, valiant hero, leapt across a table, dashed across the room and caught me. 15 years later, when he met my daughter, he introduced her to his family as the child he saved. Zen of Seeing is not a how-to book. No drawing lessons here. Instead, pleasant drawings and inspirational messages (hand written) encourage the reader to let go of rules and inhibitions. Where has this book been? I started drawing and painting a few years back and have bought lots of books, but none like this! I don't think of myself as a Zen person or a mystic, but this book really speaks to me. The drawings are beautiful, but go beyond a superficial beauty. Even if one is not interested in drawing, there is lots in this book to recommend it. It is not just a book about seeing and drawing, it is a book about truly living. I read excerpts of this book to my art students every semester. Years ago when I was Artist-In-Residence at a federal prison, an inmate brought me his copy of this to look at. He said he thought I would like it. He was SO right! Whether or not you draw, you will find this book full of insight. It's about drawing but more than that it's about SEEING, really SEEING, the world around us. One of my favorites, but someone stole it from my collection - he rates it favorably as well. Disclaimer: I am no trained artist or drawer or someone particularly skilled in Zen. It was an okay book. I liked the concept of doing away with the trappings of "Art" and trying to get to the essence of drawing, but he really couches it in the writing style of someone who "smells their own farts" as my boyfriend put it. There's a lot of fluff here, that I think he was trying to use to get his point across, but it tends to come off as snooty or elitist in it's own way. I recommend reading the fou Disclaimer: I am no trained artist or drawer or someone particularly skilled in Zen. Sunyata = Emptiness so full of potential that all emerges from it, all is reabsorbed in it. Baso quote: "When tired I sleep, when hungry I eat." Rishi! This was text listed for my Architecture course in the early 80's. One of my cherished books except that I don't know where to find it! A meandering meditation on the zen of seeing. A classic. I love the idea of seeing and drawing as a meditation and I've read several positive reviews of this book. I wasn't impressed though. The handwritten script is hard to read so it felt like a struggle to absorb meaning from the text and numerous anecdotes and quotes. It's rare for me to decide to sell one of my art books, but I'm eager to get this one off my shelf so I can make room for something else. Seems pretentious in many places, sneering at commercial or interpretive art. But also offers many insights into what we'd currently call "the zone", and tie-ins with self-actualisation or enlightenment. Near the end, the narrative slips away from its judging tone and offers a perspective on why photography is dismissed by the author, and in that slip a window is revealed into how anyone could use any medium to tap into this experience. But every creator will have a different call inside of them Seems pretentious in many places, sneering at commercial or interpretive art. But also offers many insights into what we'd currently call "the zone", and tie-ins with self-actualisation or enlightenment. Near the end, the narrative slips away from its judging tone and offers a perspective on why photography is dismissed by the author, and in that slip a window is revealed into how anyone could use any medium to tap into this experience. But every creator will have a different call inside of them. I love the format of the book. The whole thing is hand-drawn and hand-lettered, and he is a very good artist with very cool handwriting. There were a few good ideas I took away from it. As a Christian, one thing that gets on my nerves is when Eastern religions try to paint Jesus as a great teacher who had reached an advanced level of personal enlightenment. They pick and choose which of his teachings to admire, and paint him as a model Buddhist. Jesus had no such pretense. The author was guilty o I love the format of the book. The whole thing is hand-drawn and hand-lettered, and he is a very good artist with very cool handwriting. There were a few good ideas I took away from it. This books seemed a little to full of what could be taken as quotable type drawing dialogue. I don't know. I liked the idea of it, I liked what the author had to say about seeing beyond what is visible with your eyes but it just seemed a bit too much in the seeing through the mists of existence type stuff for me, although I do that at myself sometimes too. A lovely hand-written book with gorgeous pen drawings espousing the art of really looking at something until you see it and then let your hand draw it. Naturally. Bypass the ego and the mind and just allow the flow from eyes to hand to paper. Become the object. Maybe it won't teach you how to draw well, but you'll definitely see things differently. Wonderful in its prose and illustrations. I started "Seeing/Drawing" and found myself less critical of my drawings and in awe of subtle movements in clouds, flowers and hermit crabs. I also enjoyed the quotes from zen masters. I recommend this book to anyone who wants to discover or rediscover their "inner-artist". As a child, teaching myself to draw, all i knew was "how to look" at something and draw what I saw. To know that I was doing this at such an early age amazed me after finishing this read. I perfected(?) on this through my teens and then later through college, and to this very day. This book brought it all into perspective for me and helped me understand what it was I was doing all these years. I really liked this book and plan to reread it. It is not so much a book about drawing, though there is a little of that, but a book about living, seeing, Zen. Excellent. Do not expect art lessons, per se. Though there are a few good hints.